2016 brings a marked improvement to their status as a species, one that was almost unimaginable when manatees were first included in the Endangered Species Act of 1973. Unfortunately, the U.S. 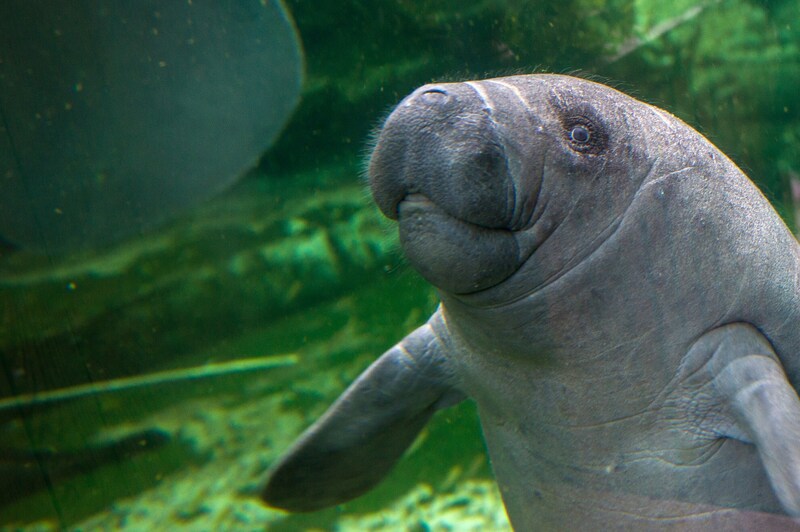 Fish and Wildlife Service's proposal doesn't mean manatees are out of the woods (coral reef? ); although their numbers are improving, an official said in a statement that there's "still more work to be done" before the population recovers fully. A threatened status is less severe than endangered, which indicates an immediate threat of extinction, but it still means that a species is likely to become endangered in the near future. In other words, manatees are still in desperate straits — just not so desperate that they're about to be wiped off the planet. Before we all go patting ourselves on the back, however, it should be noted that the only reason manatees are endangered is because humans starting killing them in the first place. The Fish and Wildlife Service (FWS) points out on its website that manatees have no natural predators, and a "high number" of deaths are the result of human intervention, from being crushed in canal locks to old-fashioned habitat loss. With that in mind, perhaps it's not surprising that some conservationists are unhappy with FWS's proposal. "The Florida manatee has come a long way but is still threatened by boat strikes, cold stress and undiagnosed mass die-offs in the Indian River Lagoon," Jaclyn Lopez, Florida director of the Center for Biological Diversity, said in a statement. Others have noted that the FWS review leading to the proposal came two months after a lawsuit by Save Crystal River, Inc., which was "concerned about new manatee idle-speed rules [for boats]" in 2014, Florida Today reports. The FWS proposal kicks off a 90-day comment period, in which it invites the public to submit information to help make the decision. In the meantime, as we wait for the decision, let's all celebrate the manatee's adorable existence with this adorable GIF, because they're super freakin' adorable.